We offer total solution – client sourcing, target marketing, social marketplace and automated customer service. Growing no. 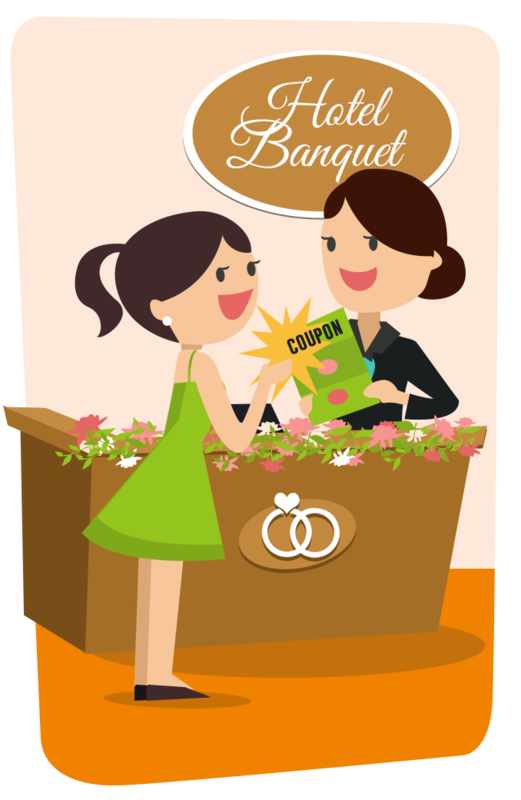 of banquets distribute to customers our printed coupons. 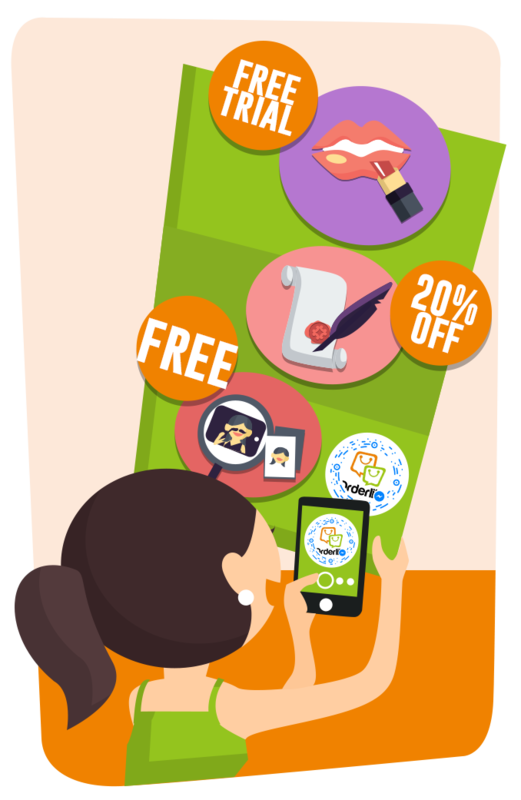 Our coupons bring customers online for your product discovery. 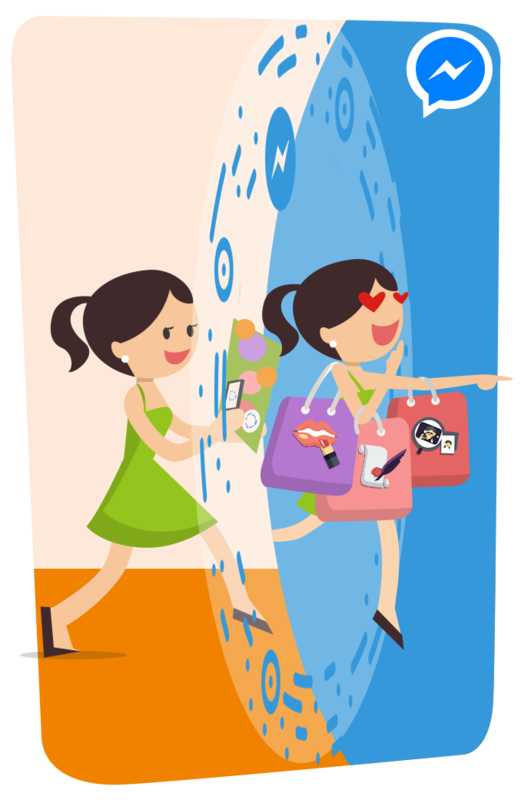 Customers identified as targets see your digital coupons in Messenger. Targets see multi-media posts copied from your website. 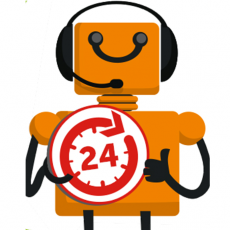 Targets enjoy 24/7 auto reply to enquiries made in Messenger. Our direct marketing observes Personal Data Privacy law. You name targets & create posts via an online control panel. Our solution begins with client sourcing, the key to business success. Under the support of head vendors and market leaders, we are building a coupon distribution network for your client sourcing. 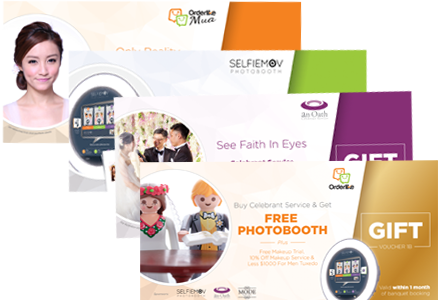 3 hotels and 6 restaurant groups are committed to giving our printed coupons to their customers who come to know us in the very beginning of their wedding planning journey. 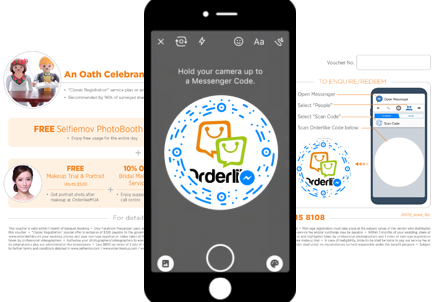 Since 2016, An Oath Celebrant Service (a major market shareholder) adopted Messenger to communicate with customers, getting them all ready online for your digital coupons. Messenger Code shown in our printed coupons bring clients from offline to online. 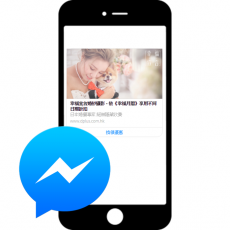 By scanning the Messenger Code, clients get connected with us in smartphones spontaneously. We implant unique identification data in each Messenger Code to track clients’ preference and build client profiles. Your targets are readily identifiable by client profiles. 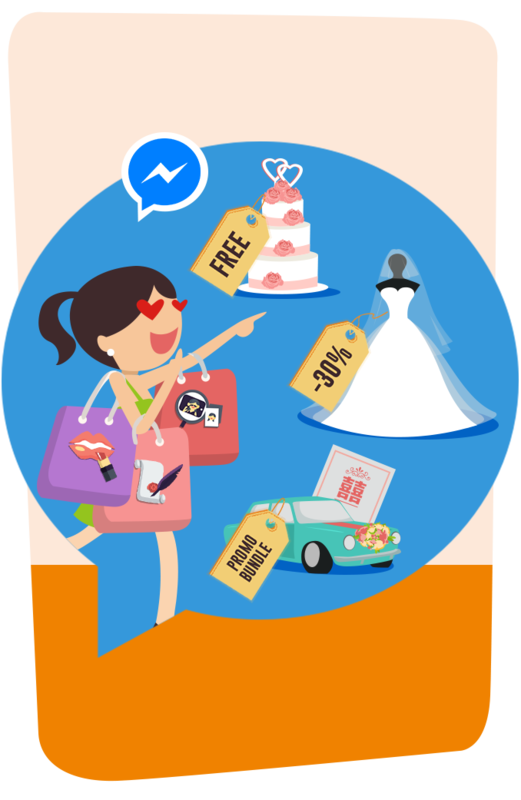 Once identified, targets see your digital coupons and mobile catalogues in Messenger and start exploring your products. Targets expect to see your catalogue in rich multi-media format. 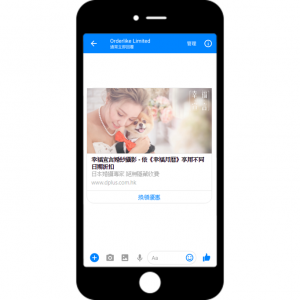 Messenger adopts from your website all texts, photos and multi-media contents about your product and show them as mobile catalogue to targets. 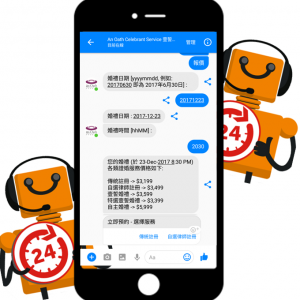 When targets text your Messenger after office hours, Messenger’s chatbot takes over customer service and purchase process by automating the tasks. 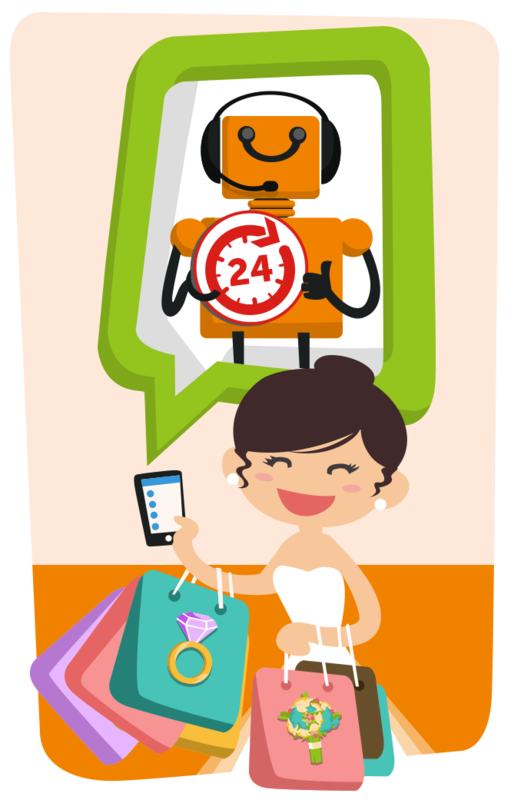 Your targets will experience 24/7 immediate response to all enquiries they made in Messenger and get impressed. 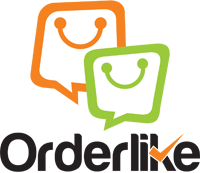 Satisfied customers bring you more business by word-of-mouth. 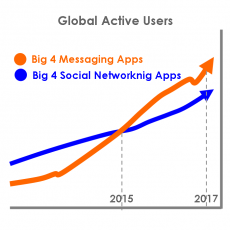 Instant messaging has larger client base, higher retention / usage rates, younger users than Social Network. 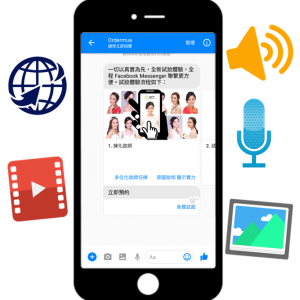 Instant messaging supports email, SMS, voice message, chats, all multi-media contents and action buttons. Chatbot boosts CS performance during office hours and takes over the tasks completely after office hours.